I firmly believe that all charges brought in this indictment shall eventually result in our acquittal. Yet I have been kept detained for 16 months waiting for this indictment to be prepared. Since the date for our hearing has been set at the end of June, I shall have been in prison for 18 months by the time I first appear before court unless I am released in the meantime. Yiğit Aksakoğlu shall have been detained for 7 months. As emphasized in the statement made by 17 institutions including the Ankara, İzmir, Van, and Diyarbakır Bar Associations, Amnesty International, and the Human Rights Foundation of Turkey, this demonstrates exactly how long periods of detention are no longer a precautionary measure in our country, but have turned into a punishment in and of itself. The fact that spokespeople of the Taksim Solidarity, against whom charges were previously brought based on the very same incidents but resulted in either non-prosecution or acquittal, are being tried once again in this case is yet another brazen violation of law. I would like to remind those who truly believe the Gezi events to be a foreign-financed attempt to topple the government: mass protests with rightful and legitimate claims may emerge and have done so all over the world against authoritarian regimes as well as democracies. In countries where democratic institutions and rules function effectively and elections are carried out freely these protests result not in taking down governments, but in a review and amendment of decisions and practices causing disconcert. Processes of making and implementing decisions may be much more arduous and longwinded in democracies than in non-democratic societies; yet the conclusion reached at the end shall be of the kind that proves this difficulty and delay worth bearing. 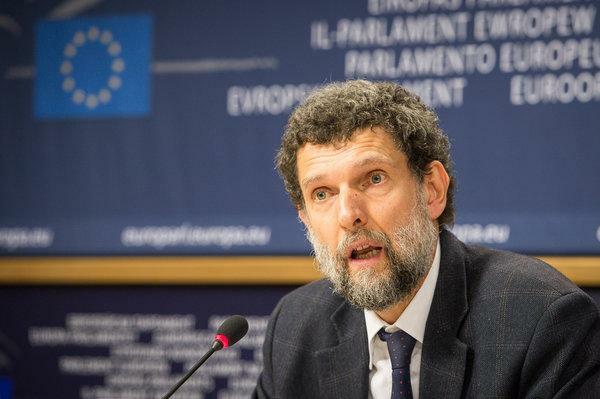 Image of Osman Kavala via NY Times.